Precious Metals Gold & Silver declined strongly. 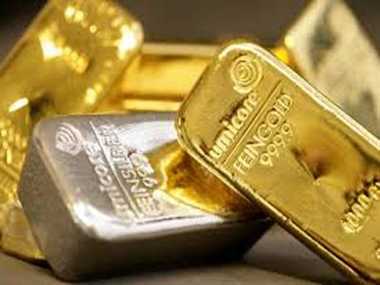 MCX gold has fallen by 1 per cent. The silver is trading down nearly 2 percent, because the international market has decline today. The Comax Gold price of 1279 dollar has come to pass. 1.9 per cent fall in silver has come down to 19.17 dollar. Indeed, after the Fed's effects on the markets began to dominate China's cash crunch. Gold 26600 and Silver 40500 today will stay on way:- Both precious metals like Gold and Silver are continuing run on surface levels. We expected Gold may slip near to 26600 and silver can go down 40,500 in day. Recently MCX Gold is trading 303 Rs down Compare with last close and Cost price at 26700. Other precious metals silver has gone down 900 point due to previous close and cost level at 40680. @ Sell MCX Gold with in August contract at 26700 targets 26660, 26620 Stop Loss 26780. @ Sell MCX Copper June below 398 TGT 397, 396 Stop Loss 400.